I'm not sure if it's because I visited the Rokit store on Brick Lane last week and saw all of the beautiful garments they had to offer, or if it's because the sun is shining, or maybe a combination of the two, but I'm loving vintage dresses at the moment! I bought one from work yesterday actually, I'll try to get a picture up for you tomorrow...I've always been a little nervous about wearing dresses below the knee because it looks 'old fashioned', but hell, it's practical and I don't have to worry about exposing my knickers on a breezy day! I came across this little number earlier and immediately fell in love with the colour combination! 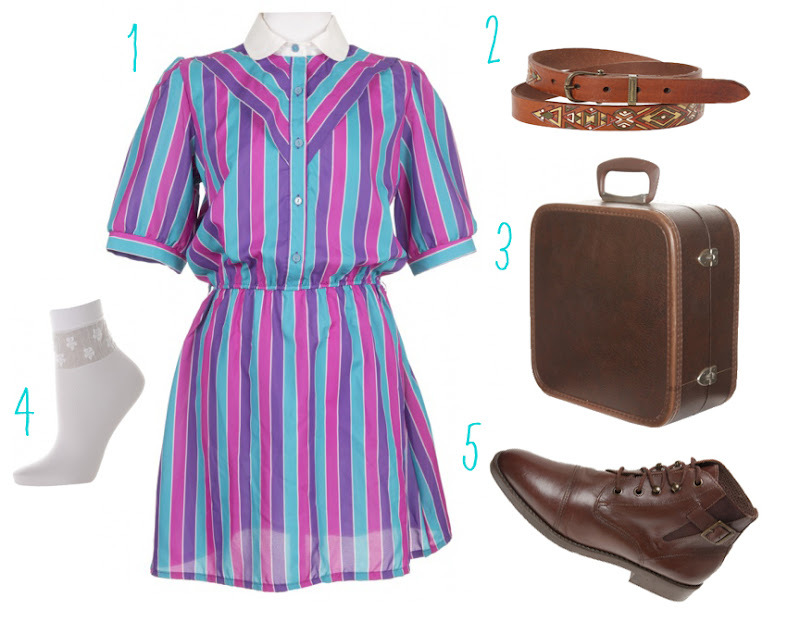 It's so cute and summery and I love the addition of the collar, gosh I love collars! I would wear this with a waist belt and little socks - I love ankle socks at the moment and these are only £3!